Despite the arrival of the cold weather season apparel, the gargantuan September issues bursting with information about upcoming trends, and the summer clearance being pushed out faster than a middle-aged man still living with his parents, my heart remains with summer. The temperatures are blazing and so is my love for summery hues and vibrant prints. You can take the summer clothes from the girl but you can’t take the girl from her summer clothes! I took this picture earlier in the summer when I first purchased this bad boy from Brandy Melville. 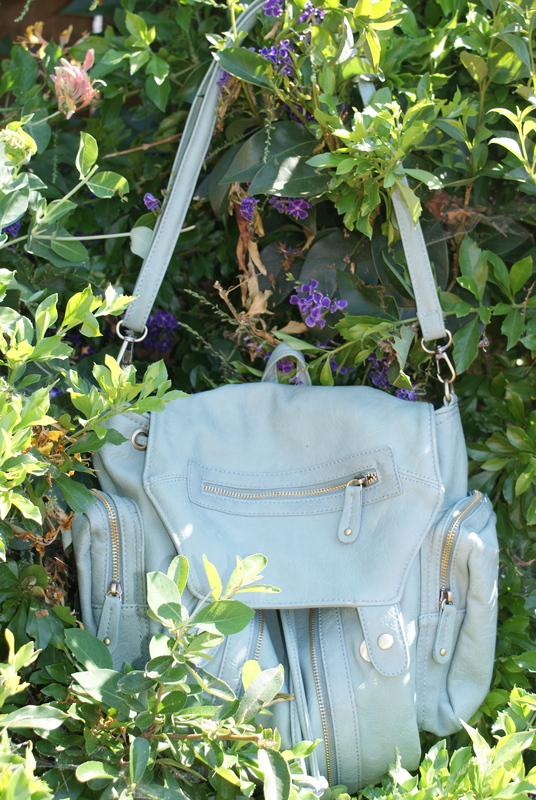 Accompanied with detachable straps so that it can be either a backpack, purse, or crossbody, this guy has been my seafoam savior this season. I’m hoping that our summer fling lasts long enough for me to carry him around my arm in the fall. But who knows? Summer relationships are always fickle and when it comes to arm candy I’ve been known to have a wandering eye.